All phones have free shipping & our 14-day satisfaction guarantee! Lease iPhone 7, choose the Unlimited plan and switch your number to Sprint. After checkout, use the promo code on your order confirmation to trade in an eligible device and get a $27.09/mo. credit. Eligible trade-in devices: iPhone SE, iPhone 6, 6 Plus, 6s, 6s Plus, 7, 7 Plus; Samsung Galaxy S6, S6 edge, S6 edge+, S7, S7 edge, Note 4, Note 5; LG G5, V20; Motorola Droid 2. iPhone 7 32GB on us after $27.09/mo. credit. Req. 18-mo. lease for well-qualified customer with port, new line activ. & eligible phone trade-in. Credit applied w/i 2 invoices. Early termination of lease/service results in remaining balance of full price due. Lease iPhone 7 Plus, choose the Unlimited plan and switch your number to Sprint. After checkout, use the promo code on your order confirmation to trade in an eligible device and get a $27.09/mo. credit. Eligible trade-in devices: iPhone SE, iPhone 6, 6 Plus, 6s, 6s Plus, 7, 7 Plus; Samsung Galaxy S6, S6 edge, S6 edge+, S7, S7 edge, Note 4, Note 5; LG G5, V20; Motorola Droid 2. Req. 18-mo. lease for well-qualified customer with port, new line activ. & eligible phone trade-in. Credit applied w/i 2 invoices. Early termination of lease/service results in remaining balance of full price due. Pick any smartphone for yourself and then get a FREE Samsung J3 Emerge for everyone in your family. Or choose at least two FREE Samsung J3 Emerge smartphones and they're all FREE! Up to 10 lines. Samsung J3 Emerge: $0/mo after $7/mo/line service credit, applied w/i 2 invoices. Reqs. 24-mo. installment billing for well-qualified customer purchasing at least 2 devices with one new-line. Tax due at sale. Early termination results in remaining balance of full price due. Void in CT, RI, and Miami-Dade. iPhone 7 trade-in offer: Offer is for a limited time only. Credit approval req. Activ. Fee: Up to $30/line. Phone Offer: $649.99. While supplies last. Lease: Credit approval req. Terms for all other customers will vary including amount due at signing & taxes/fees. Models with higher memory configurations may require a down payment. Req. qualifying device & service plan. No equipment security deposit required. Upon completion of 18-mo. 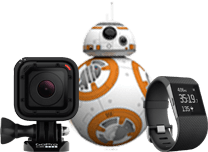 term, customer can continue to pay monthly lease amount, purchase or return the device. Customer is responsible for insurance and repairs. Early termination of lease/service: Remaining lease payments will be due immediately, and requires device return or payment of purchase option device price in lease. $0/mo. iPhone 7: Reqs. 18 mo. lease on iPhone 7 (32GB). Trade in of eligible trade-in devices: iPhone SE, iPhone 6, 6 Plus, 6s, 6s Plus, 7, 7 Plus; Samsung Galaxy S6, S6 edge, S6 edge+, S7, S7 edge, Note 4, Note 5; LG G5, V20; Motorola Droid 2. Phone trade in must be unlocked, deactivated & all personal data deleted before trade-in and in good working order; device powers on and there are no broken, missing or cracked pieces. Device will not be returned. Higher memory configurations and iPhone 7+ will receive the same amount of trade-in credit and will not be $0/mo. Current customers most own trade in device. Early Upgrade: Req. active add-on thru time of upgrade with min. 12 consecutive payments on the leased device (with offsetting service credits), new phone lease, acct. in good standing, & give back of current eligible device in good & functional condition. After upgrade, remaining unbilled lease payments for giveback device are waived. 2 for 1 LG V20 Offer: LG X power: MSRP $216.00. 24-Month Installments: Req. 24-mo. installment agreement, 0% APR, & qualifying device & service plan. Credit approval req. Device pricing for well-qualified customers. Models with higher memory configurations may require a down payment. Monthly payment terms and down payment for all others will vary. Down payment, unfinanced portion and sales tax (on full purchase price) due at purchase. Early termination of 24-Month Installments/Service: If you cancel wireless service, remaining balance on device becomes due. LG X power offer: Reqs 24-Month installment agreements. Service Credit applied monthly based on the lower cost device. Credit ends at end of term, early payoff or upgrade, whichever occurs first. All devices must be acquired in the same transaction. Monthly installment payment will be reflected on the invoice and offset with a service credit. Other Terms: Offers & coverage not available everywhere or for all phones/networks. May not be combined with other offers. No add’l discounts apply. Sprint reserves the right to change or cancel this offer at any time. Restrictions apply. © 2017Sprint. All rights reserved. Sprint and the logo are trademarks of Sprint. Other marks are the property of their respective owners. Samsung J3 Emerge Offer: Available 2/3/17 thur 4/13/17. While supplies last. Activ. Fee: Up to $30/line. Credit approval req. Device Offer: Samsung J3 MSRP $192.00. Samsung J3 Emerge MSRP $168.00. 24-Mo. Installments: Req. 24-mo. installment agmt., 0% APR, & qualifying device & svc. plan. Device pricing for well-qualified customers. Models with higher memory config may require down pymt. Monthly pymt. terms & down pymt. for all others will vary. Down pymt., unfinanced portion & sales tax (on full purch. price) due at purch. Early termination of 24-Mo. Installments/Svc. : If you cancel wireless svc., remaining balance on device becomes due. Samsung J3 Emerge Offer Req. 24-mo. installment agmt. Svc. credit applied mo. based on the lower cost device. Credit ends at end of term, early pymt or upgr., whichever occurs first. All devices must be acquired in same transaction. Mo. pymt. will be reflected on inv. & o˜ set with svc. credit. Other Terms: Offer/coverage not avail. everywhere or for all phones/networks. May not be combined with other offers. No add’l. discounts apply. Sprint reserves right to change or cancel this offer at any time. Restrictions apply. See store or sprint.com for details. © 2017 Sprint. All rights reserved. Sprint & logo are trademarks of Sprint. Other marks are property of their respective owners. iPad 3GB bundle: Available only to customers with an active smartphone and a 24-month installment agreement on iPad mini 4 16GB $529.99 MSRP, iPad Air 2 16GB $529.99 MSRP, iPad Pro 9.7" 32GB $729.99 MSRP, iPad Pro 12.9" 128GB $1079.99 MSRP, all memory configurations on a 3GB data plan. Must remain in good standing. Not combinable with other offers. Credit awards for 24 months. Plan or device changes will cancel the credit. 3GB Data Plan: No plan discounts apply. Plan includes 3GB of on-network data usage. Add'l on-network data usage: 1.5¢/MB. Monthly off-network data allowance 100 MB/mo. Add'l off-network data: 25¢/MB. Mail-in rebate: Line must be active 30 consecutive days. Allow 8 wks for rebate. Reward Card: Terms and conditions apply to Reward Cards. See Cardholder Agreement or visit americanexpress.com/sprint for details. Subject to applicable law, a $3.00 monthly service fee applies beginning in the seventh month after Card issuance. Card is issued by American Express Prepaid Card Management Corporation. American Express is not the sponsor of this promotion. Upgrade: See sprint.com/upgrades for details. ** Mo. charges excl. taxes & Sprint Surcharges [incl. USF charge of up to 16.7% (varies quarterly), up to $2.50 Admin. & 40¢ Reg. /line/mo.) & fees by area (approx. 5 -20%)]. Surcharges are not taxes. See sprint.com/taxesandfees. Better Choice Plan: No discounts apply to access charges and early upgrade add-on charge. Includes unlimited domestic Long Distance calling and texting. Data allowance as specified. 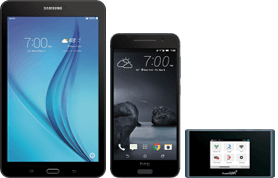 Non-discounted phones require you to sign up for leasing, monthly installments, pay full MSRP or bring your own capable phone. Third-party content/downloads are additional charge. Max of 10 phone/tablet/MBB lines. Includes selected allotment of on-network shared data usage and 100MB off-network data usage. Additional on-network high-speed data allowance may be purchased at $15/GB. Additional off-network data can be added by opt in only for 25¢/MB for tablets/MBBs. Mobile Hotspot Usage pulls from your shared data and off-network allowances. High speed data is access to 3G/4G. Discounted Phones Access ($45): Invoice will show a term access charge of $50/mo/line charge until the customer enters into a new device transaction that does not have an annual term service agreement. AutoPay: To receive $5/mo/line discount you must be enrolled in AutoPay. Usage Limitations: To improve data experience for the majority of users, throughput may be limited, varied or reduced on the network. Sprint may terminate service if off-network roaming usage in a month exceeds: (1) 800 min. or a majority of min. ; or (2) 100 MB or a majority of KB. Prohibited network use rules applyseeprint.com/termsandconditions. Sprint Global Roaming Add-On: Requires international capable phone and domestic service plan on the account. Includes text messaging and data in select countries on GSM/GPRS networks only. Voice: 20¢ per minute. For a list of available roaming cities, visit sprint.com/internationalroaming. Not compatible with other intl roaming services. Intl voice, text and data in other areas not included are subject to applicable casual rate. Monthly add-ons must remain active on customers line of service for a full month after activating. Not for extended international use; primary usage must occur on our U.S. Network. Service may be terminated or restricted for excessive roaming. Communications with premium-rate numbers not included. Sprint Unlimited plan: Activ. Fee: Up to $30/line. Credit approval req. Sprint Unlimited Freedom Plan: Reqs. eBill. Incl. unlimited domestic Long Distance calling, texting & data that streams video at up to HD 1080p, music at up to 1.5mbps, gaming at up to 8mbps. & 10GB of high-speed Mobile Hotspot, VPN & P2P data. After the 10GB, MHS, VPN & P2P usage limited to 2G speeds. Third-party content/downloads are add'l. charge. Sel. int'l. svc. incl. see sprint.com/globalroaming. Plan not avail. for tablets/MBB devices. Avail. on discounted phones for add'l. $25/mo./line. AutoPay: to receive $5/mo. discount you must remain enrolled in AutoPay. Quality of Svc. (QoS): Customers who use more than 23GB of data during a billing cycle will be deprioritized during times & places where the Sprint network is constrained. See sprint.com/networkmanagement for details. Usage Limitations: To improve data experience for the majority of users, throughput may be limited, varied or reduced on the network. Sprint may terminate svc. if off-network roaming usage in a mo. exceeds: (1) 800 min. or a majority of min. ; or (2) 100MB or a majority of KB. Prohibited network use rules apply --see sprint.com/termsandconditions. Other Terms: Offer/coverage not avail. everywhere or for all phones/networks. Restrictions apply. See store or sprint.com for details. © 2017 Sprint. All rights reserved. Sprint & logo are trademarks of Sprint. Other marks are property of their respective owners.